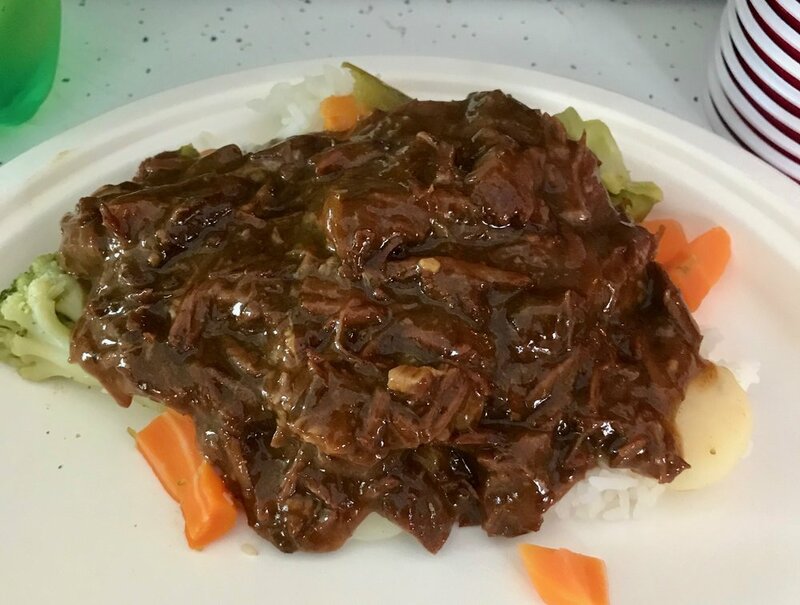 A popular choice from Chinese-restaurant menus, this is a surprisingly easy dish to prepare at home: just a few minutes' work in the morning and a workday's time in your slow cooker or crock pot will give you an aromatic and lick-the-plate yummy main dish for dinner. Or, make a batch on the weekend to have for several meals during the week. 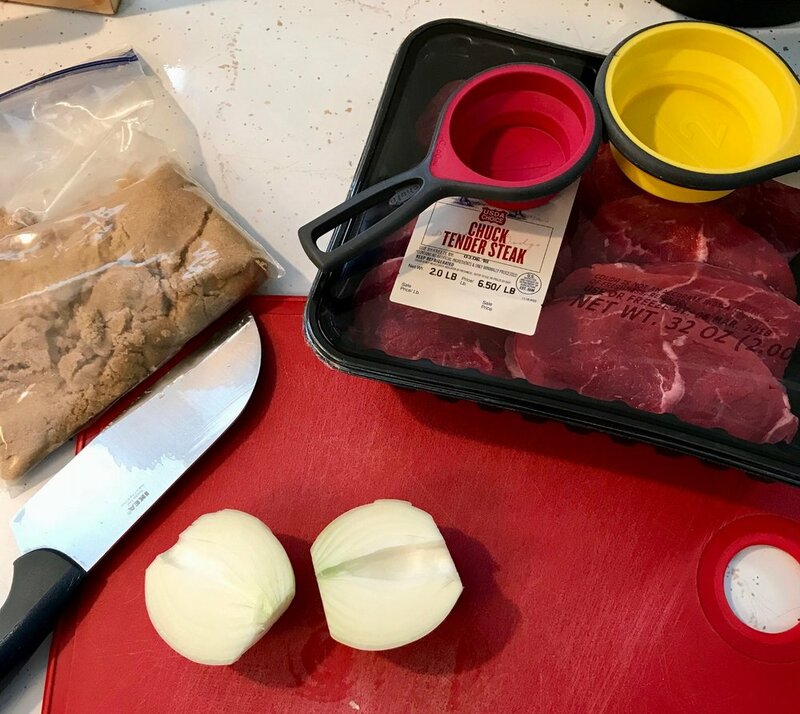 The beef and sauce freeze well, too - so you can always have this handy for when you need to prepare a quick dinner. We just wrapped up a Chinese New Year dinner for families we met on our adoption trip as well as at our daughter's school - and this was a big hit! The citrus and ginger give it a bright flavor and helps it better pair with vegetables. Cover the slow-cooker and keep on low for 4-6 hours or overnight. 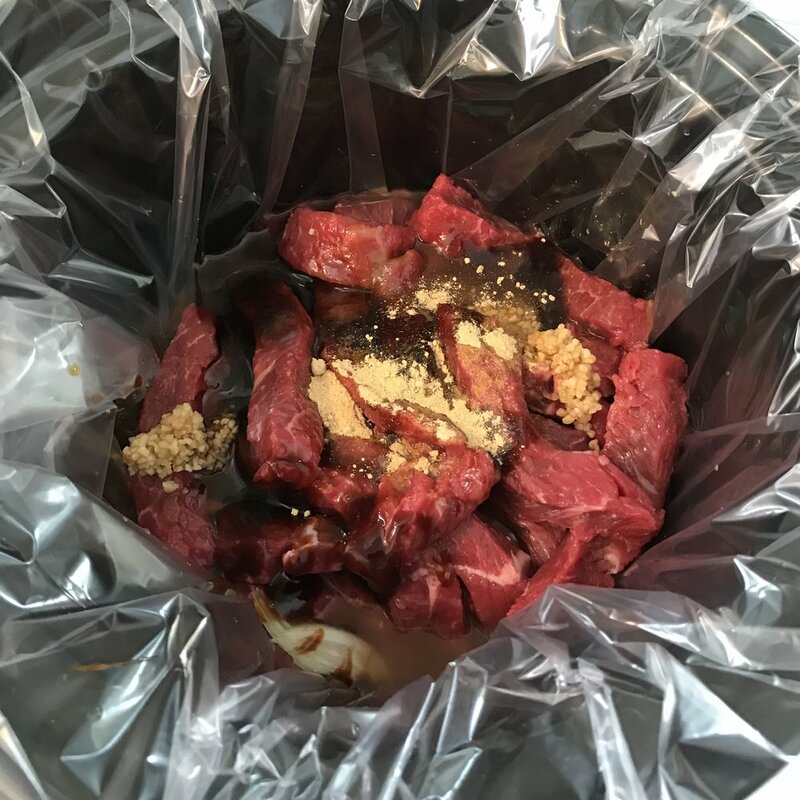 More time will break down more of the beef's connective tissue and fats; if you like bigger, discrete chunks of meat then the 4-hour range is more your style. I like the meat and sauce to be well-mixed for this dish so I go for 8 hours. Take about 1/2 cup of the sauce from the pot and whisk in the cornstarch, one teaspoon at a time. Then add the mixture back into the pot and stir through completely. If you like your sauce thinner, use less cornstarch. If you're cooking ahead, this would be the right time to take the mixture off the heat, let cool, and transfer into storage for the refrigerator or freezer. When you're ready to finish, bring it back up to 150 degrees F and continue with the next step.